We’ve been hearing about in-display fingerprint sensors for quite a while. Notably, Samsung was rumored to include an in-display sensor in the Galaxy S8, but reportedly opted not to because the tech wasn’t ready. Vivo, though, has made real progress. In July 2017, the China-based company teamed up with Qualcomm to demo an ultrasonic in-display fingerprint sensor — one of the first commercial examples of in-display fingerprint scanning. Then, in November, Synaptics announced its Clear ID in-display fingerprint sensors, and said a “top five” smartphone OEM would use it in 2018. Some analysts predicted that the OEM was Vivo, and the company confirmed those suspicious at the 2018 Consumer Electronics Show. On Tuesday, Vivo announced that it’s the first original equipment manufacturer (OEM) to use Synaptics’ Clear ID sensors. The company showcased the world’s first smartphone with a Clear ID sensor, and said that it’ll ship production models in the first half of 2018. The Synaptics in-display fingerprint sensor works by peering through the gaps between pixels in an OLED display to scan users’ fingers. (It doesn’t work in LCDs because of their need for a backlight.) Synaptics said that it’s already begun mass production of the Clear ID sensors, and that as many as 70 million units will be made available to OEMs this year. 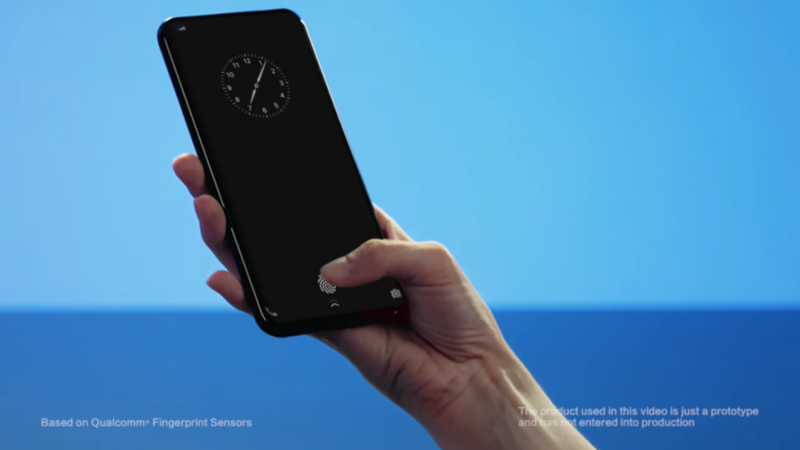 The Verge, which was able to go hands-on with the Vivo’s in-display fingerprint sensor, reported that the process of setting up a fingerprint and using it unlock the device is the same as with conventional sensors. The biggest difference is that users can place their finger on the screen to unlock their device, and that the sensor’s a little slower to learn and authenticate fingerprints. It’s early days for in-display fingerprint sensors, but we remain cautiously optimistic about their potential to replace conventional fingerprint scanners. If everything goes well, quite a few smartphones this year might incorporate the tech.